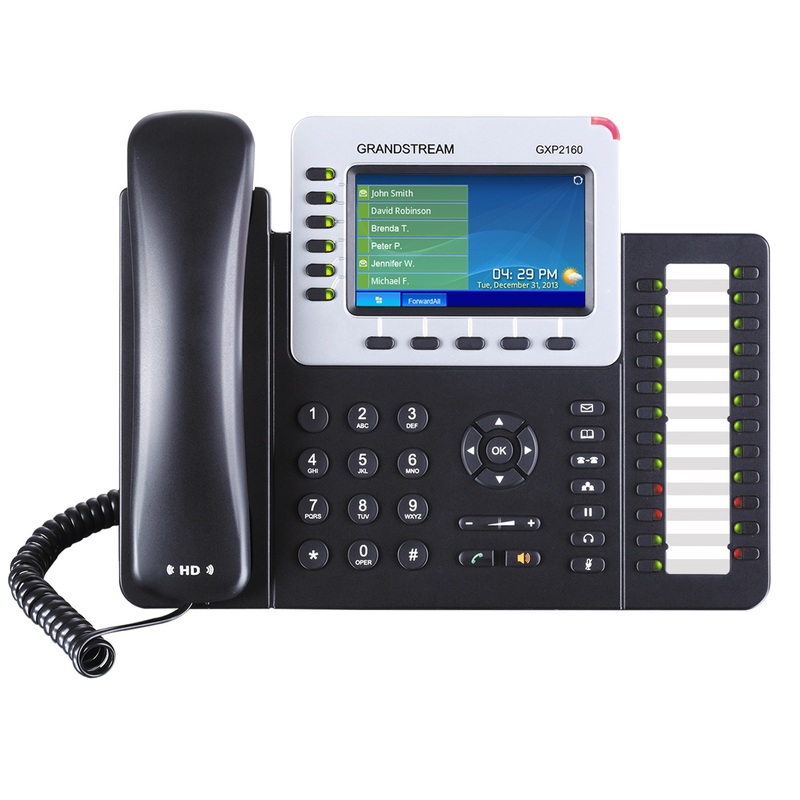 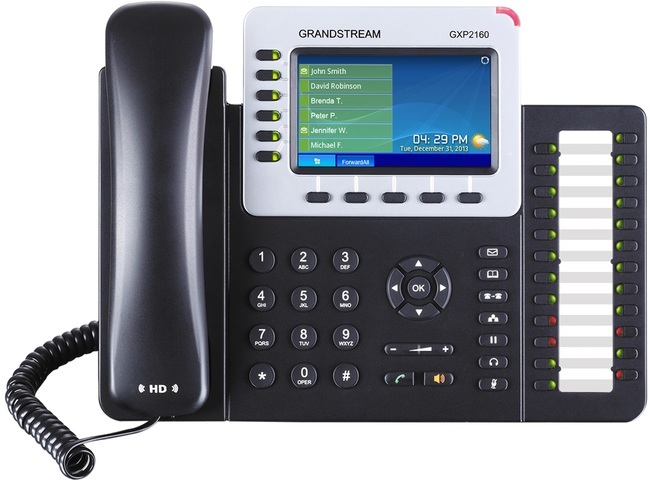 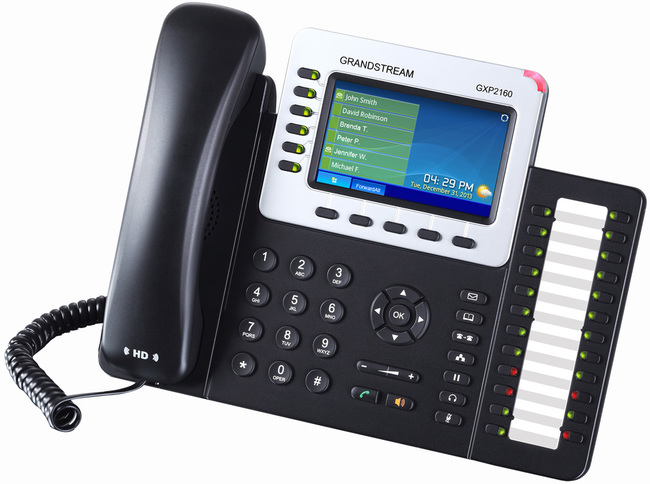 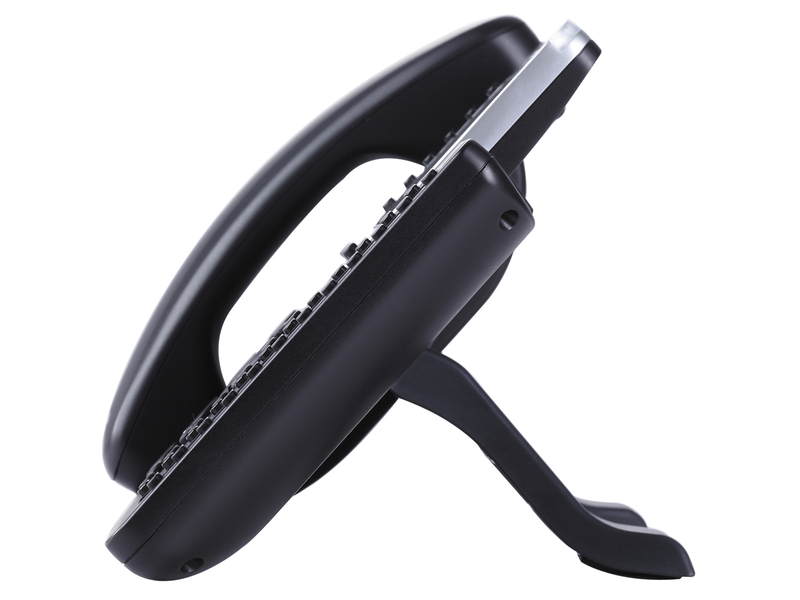 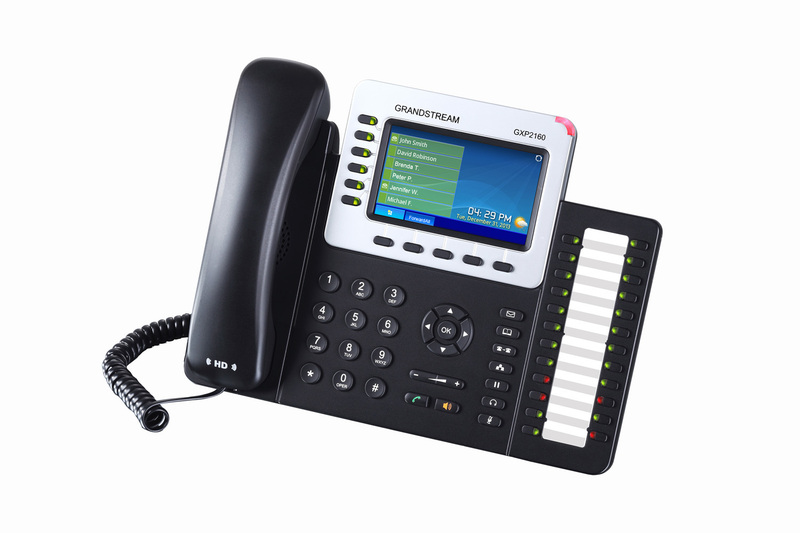 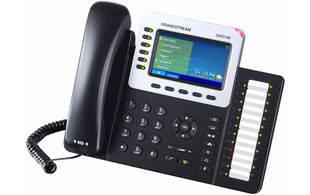 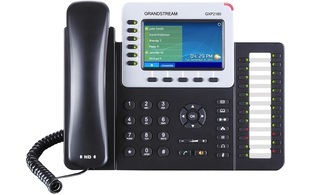 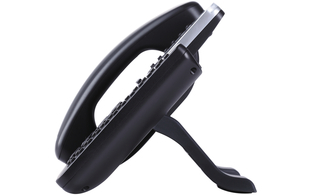 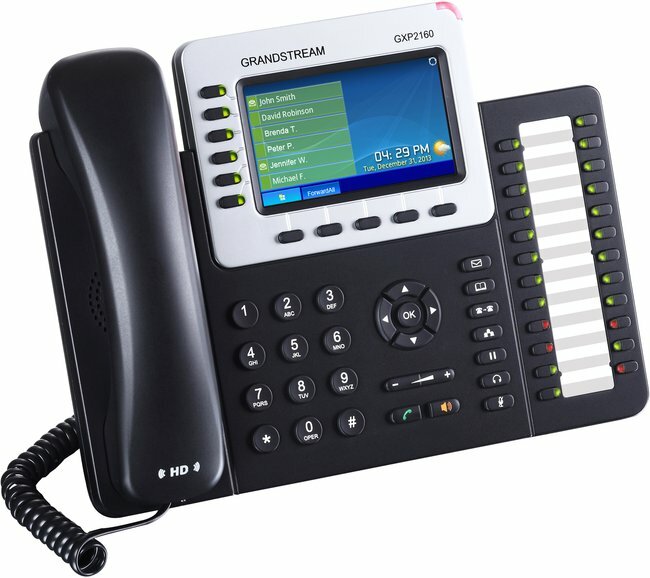 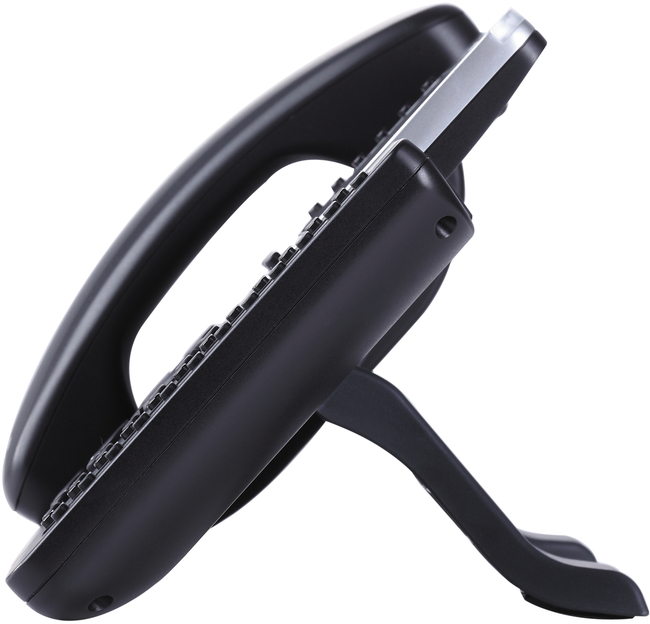 The GXP2160 is Grandstream's most powerful enterprise IP phone. 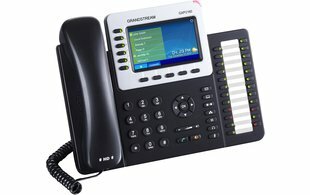 This Linux-based device features 6 SIP accounts, 5 way conferencing, 24 BLF keys, plus integrated Bluetooth and USB ports. 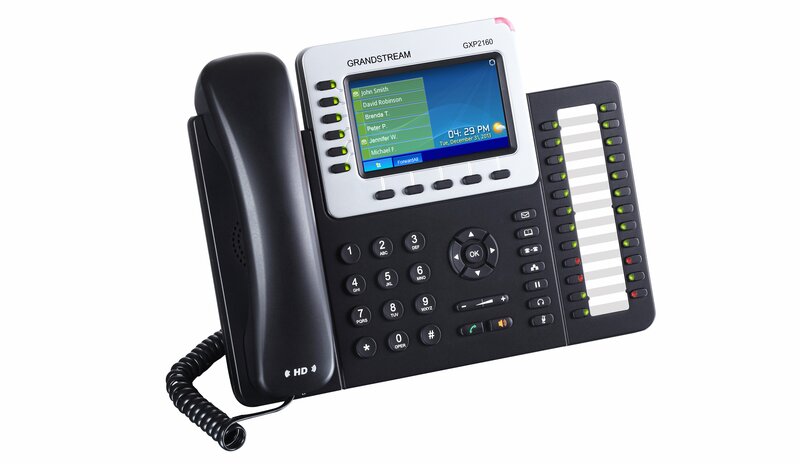 Complete with a 4.3" colour LCD screen and HD audio, the GXP2160 provides the ideal solution for enterprise and small to medium sized business users requiring quality and versatility in their desktop communications.